When it comes to your thesis, dissertation, or other degree-fulfilling project, there’s a lot to consider and a lot to do. The library has created a new webpage providing links to various resources you may need along the way, such as to help you find other people’s theses, select a citation management tool, develop a data management plan, design a research study, search for articles on your topic, utilize images and figures, manage copyright, and more! Whether you’re at the planning, researching, writing, or submitting phase, we can assist, so check it out! Our new website has been live for almost a month and we hope you’ve had the chance to explore it! 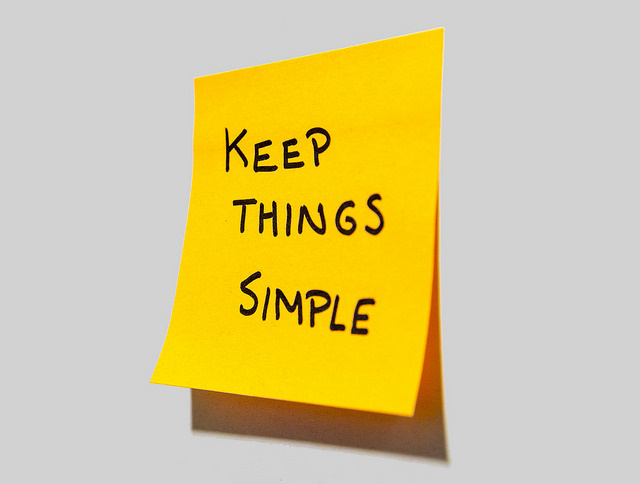 If not, take a moment to familiarize yourself with all the great updates. The new website has a more enhanced user experience for mobile devices. The most popular links, including PubMed and UpToDate, will still be at users’ fingertips within the Quick Links section. Users can view the latest hours for the Café with a link to the menu for the week. The new website includes the added “Available Technology” feature with the number of items available for checkout in real time. 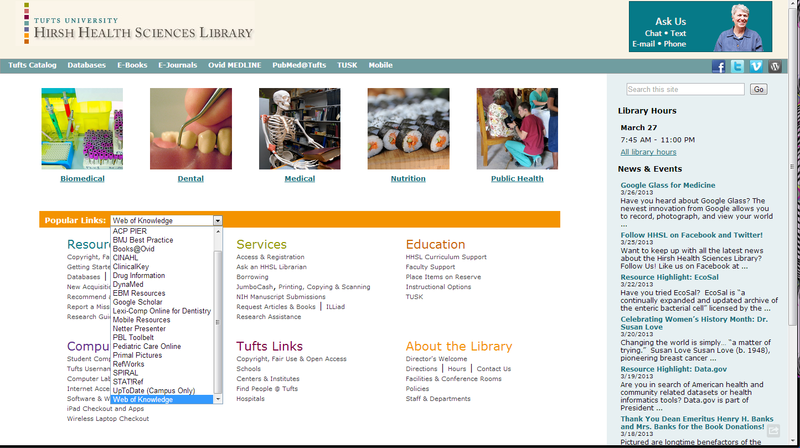 To access our new website navigate to:http://hirshlibrary.tufts.edu. We welcome all feedback! You can share your experience here . 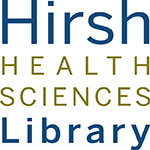 Hirsh Health Sciences Library is excited to announce that we will go live with our new website on Sunday, December 20th. The old website will no longer be accessible at this point. We spent the past year revamping our branding, designing, and developing the site. To access our new website navigate to: http://hirshlibrary.tufts.edu. Earn $10 in JumboCash for your Feedback on Hirsh Library’s Upcoming New Website! 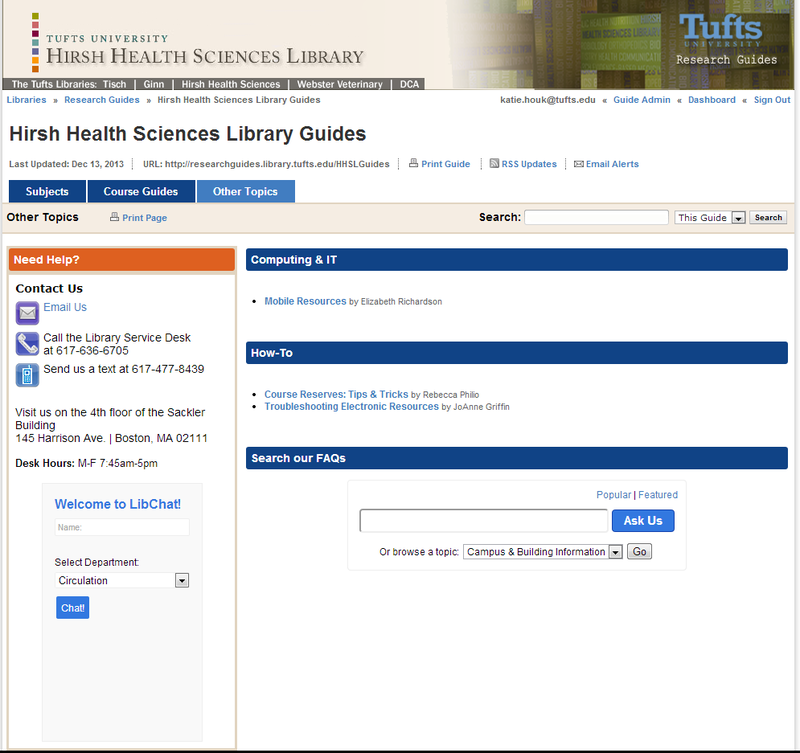 The Hirsh Health Sciences Library is in the process of re-designing our new website: http://beta.hirshlibrary.tufts.edu. We really want to make sure that the new site is user-friendly. So, we’re seeking Tufts University students, faculty, and staff (including Tufts Medical Center staff) who can help us out with this. No prior experience is needed! You’ll be asked to carry out specific tasks on the new website and then you will receive $10 in JumboCash (pretty good deal!). The testing takes approximately 45 minutes and we are flexible in terms of scheduling. If you’re interested, please contact Berika Williams at berika.williams@tufts.edu. 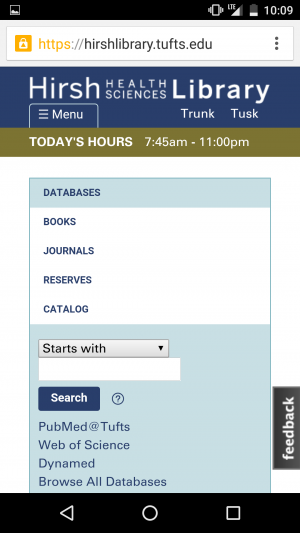 New look for ILLiad interlibrary loan service! 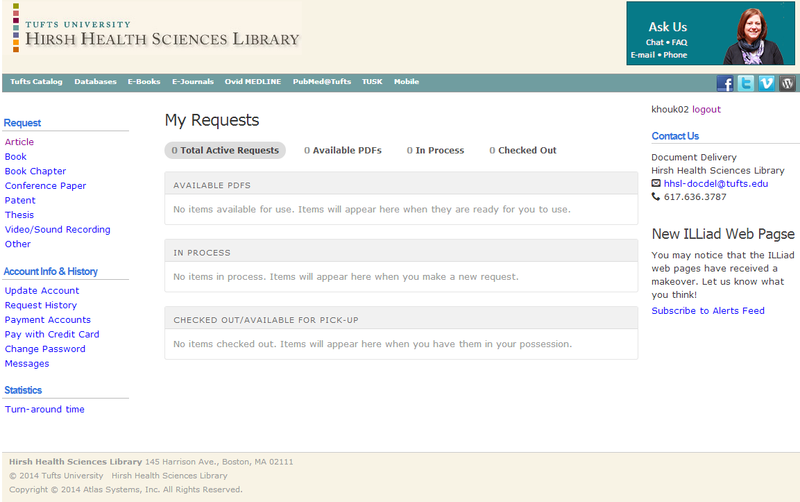 You may have already noticed that your ILLiad (hyperlink: http://go.tufts.edu/ILLiadhhsl) account has a new look with easier to fill-in request forms and more accessible account features. Please let judy.rabinowitz@tufts.edu know if you have any questions or comments about using the new site. Hirsh has revamped their learning guides and put them in a new system. 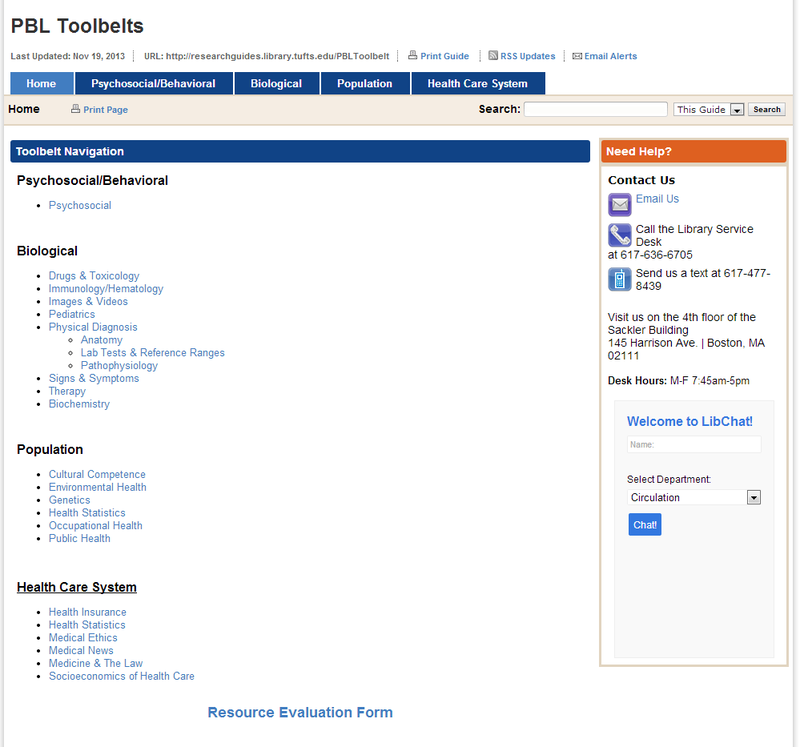 Need help finding databases to search, looking for tips on how to find reserve items, or need the PBL Toolbelts? We’ve got all this and more in the Hirsh Health Sciences Library Research Guides. On the main page, you will see that guides created based on academic subjects are arranged in collapsible menus based on category. Expand the category of interest to see all the individual guides. The “Other” tab contains guides related to general library resources, services and miscellaneous tutorials. It will be a great resource, so be sure to check them out as you visit to see the new guides as they are added! All of the guides in the new system have similar coloring and layout, so you can easily identify if you are in a HHSL Research Guide. We’ve even already migrated over the PBL Toolbelts. What do you think? Let us know at the desk, or by dropping us an email or phone call. Is there any topic you’d like covered in a guide? Public health encompasses such a wide range of topics that it can be challenging to know where to begin! The public health portal is designed to be your first stop for locating resources focused on epidemiology and public health. This portal contains sections that will connect you to key public health journals, article databases, and critical sources of statistical data on the health and well-being of populations. Because ‘local is global’ (and vice versa!) when it comes to public health, this portal contains both a section featuring United States-specific public health resources and a section featuring resources offering a global perspective on public health-related topics. 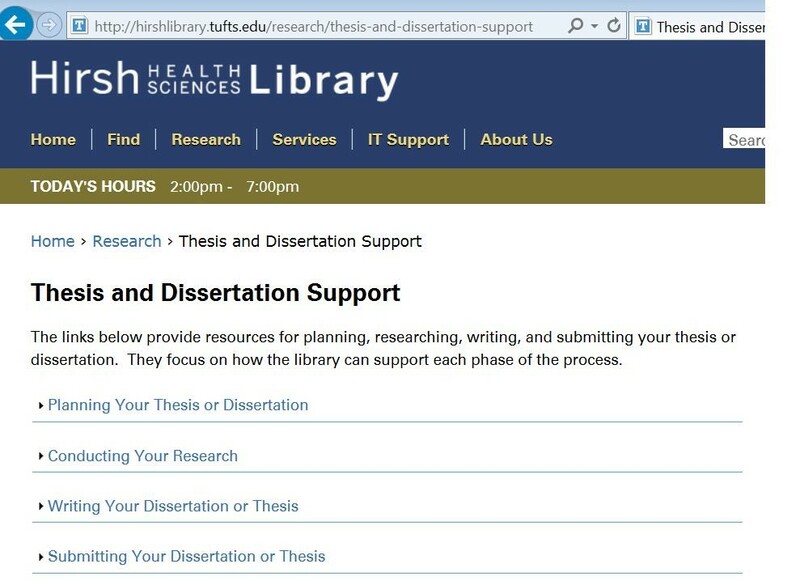 The public health portal will also point you towards guides on research writing and using the Hirsh Health Sciences Library. 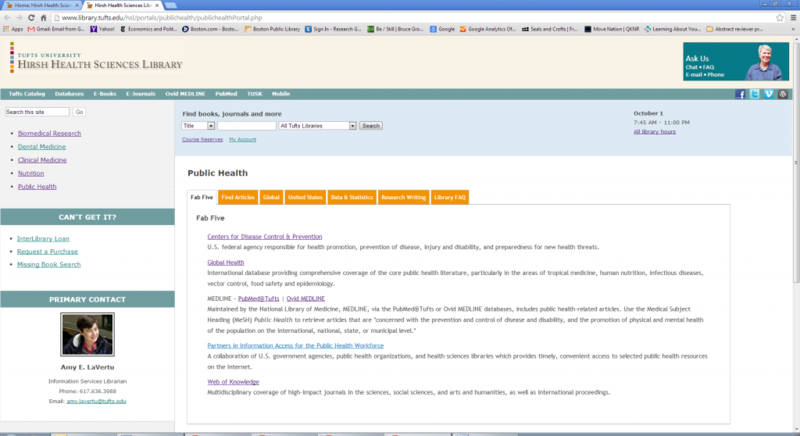 Have you explored the public health portal? Is something missing? Let us know what you think by giving us an email or call! To quote an old Sesame Street song, “Everybody eats.” Consequently, just about every discipline within the health sciences has a stake in food and nutrition! It is for this very reason that the Hirsh Health Sciences Library has created the nutrition portal. The nutrition portal will introduce you to key resources related to food and nutrition. These resources have been selected, not only for people who are specifically engaged in the study of nutrition, but also for those seeking nutrition-related information for application in their own field of study. Looking for resources that provide a global perspective on issues related to food and nutrition? Check out the “Global” tab, which features resource created by the Food & Agriculture Organization (FAO) and USAID. Want to know which parts of the USA have limited access to healthy food? Take a look at the USDA’s “Food Environment Atlas,” which is featured on the “United States” tab. 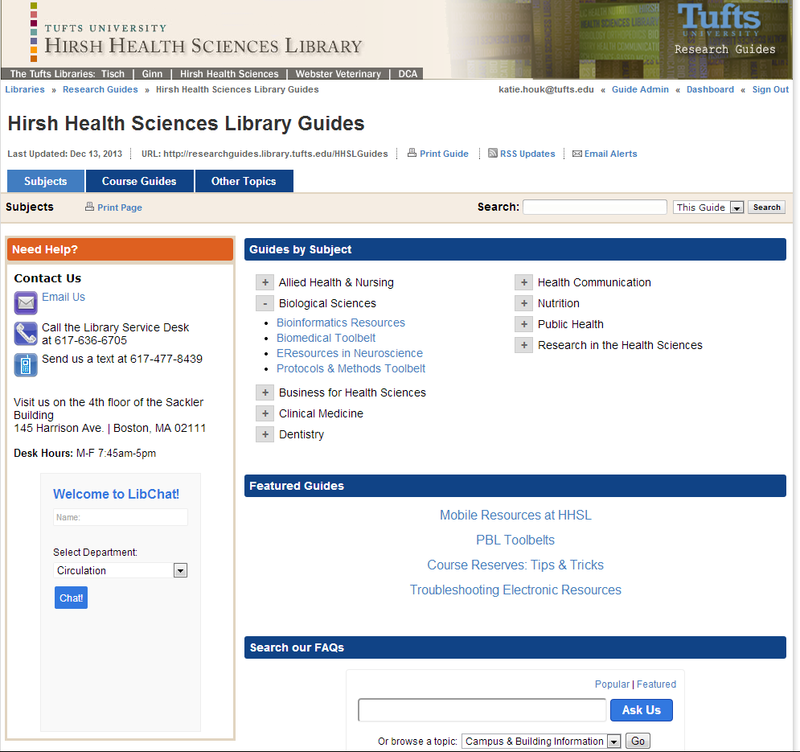 The nutrition portal will also point you towards policy resources, article databases (including PubMed@Tufts and Web of Knowledge), and guides on research writing and using the Hirsh Health Sciences Library. Have you explored the nutrition portal? Is something missing? Let us know what you think by giving us an email or call! 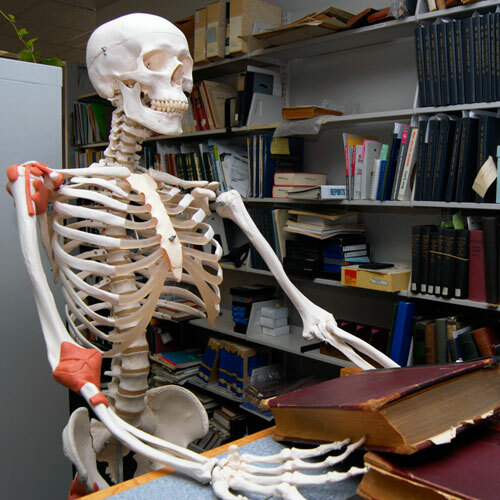 Have you noticed Leo the Skeleton on the HHSL homepage? Click on Leo and get the skinny on top article databases, point of care resources, and electronic books and journals in clinical medicine, as well as drug information and research writing tips and guides. It’s a quick way for clinicians, medical students, hospital staff and others to access all the clinical medicine favorites, like DynaMed, PubMed, UpToDate, and more. Any suggestions, questions, or feedback about this portal? Let us know! Ever wondered what the bright orange bar on the library homepage is all about? Well, wonder no more – it’s the popular links menu! We’ve put links to some of the most frequently used resources in one spot on the homepage. DynaMed, Netter Presenter to help you study anatomy, RefWorks, and popular databases like CINAHL and Web of Knowledge can also be found here. You can quickly link directly to the PBL Toolkits from this list, too. Visit the library website to check it out! Is there a resource missing? Wondering why one resource is listed but not another? 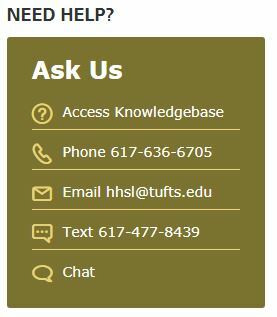 Check it out for yourself and let us know what you think at hhsl@tufts.edu!